I created this no-knead bread recipe when heavy snow was in the forecast and I decided to cook up some food ahead of time in case we lost power, as is common in the area in which I live. I had been experimenting with beer breads since the fall when I remembered my father making it when I was a child. After years of kneading and resting dough for the weekly supply, I was pleasantly surprised by the results and convenience of a no-knead recipe. When I decided to throw a batch in the oven, improvising as I went along in a rush to get my pre-storm inventory shelved, the only beer in the house was a bottle of Guinness. 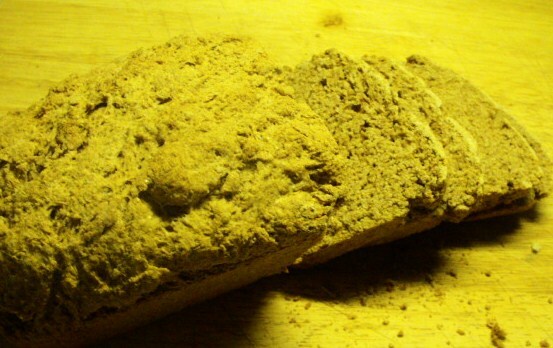 The dark beer, brown sugar, and whole wheat flour make this a rich and hearty finished loaf. The addition of the olive oil gives it a crispy exterior and soft middle. 1 full bottle of Guinness Stout. Porter or any very dark German beer may be substituted. Combine all ingredients and fold gently together. 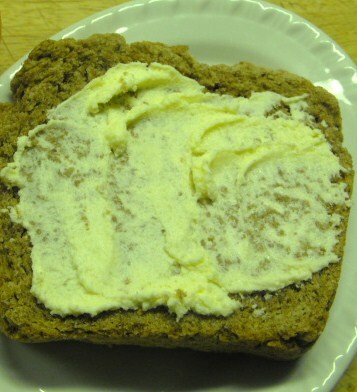 Spoon into prepared loaf pan. Bake for 45 minutes. Cool in pan for 10 minutes, then invert onto a cooling rack. 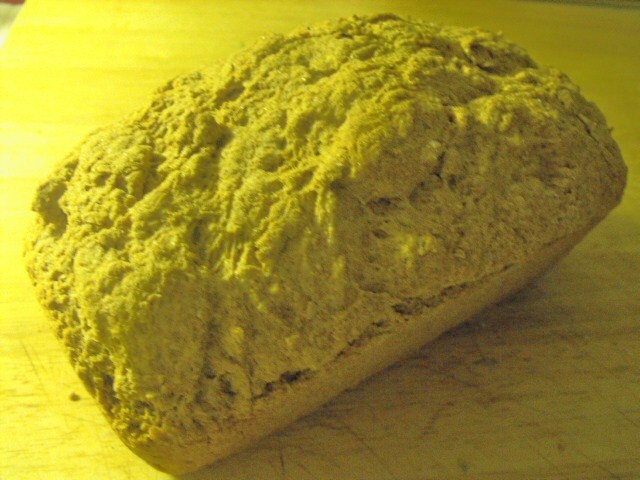 The bread will be easier to slice if it is completely cooled, but tastes wonderful hot from the oven with butter. « Let’s Get This Party Started ~ My very first cooking blog post! Welcome, & thanks for stopping by!